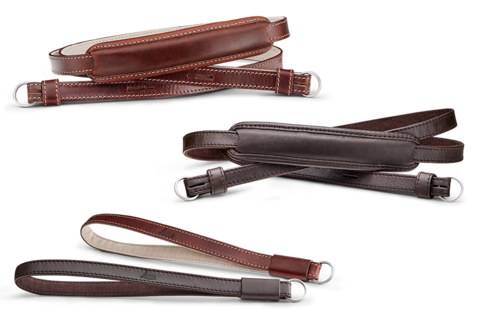 Comfortable and chic: the carrying straps with padded shoulder pieces and the wrist straps are made from organically tanned cowhide and hand finished to emphasise the natural grain of the leather. Tabs on their split rings protect the camera against scratching. Available in brown and dark brown.